Our LML Vespa Clutch Assembly is available to clients in a wide range of specifications. 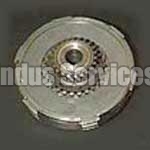 This LML Vespa Clutch Assembly is in high demand in the market due to its high quality. The LML Vespa Clutch Assembly is available to clients at market leading prices. Our Clutch Assembly is made using high grade components.